Amor y Tacos – Mole Tots Got Me, Like Whuh? Amor y Tacos was a great surprise. “Cerritos got nothin’ on good Mexican food,” so I thought. After checking out the lady making fresh tortillas and the cool decor inside, my pessimistic views were quickly crushed. 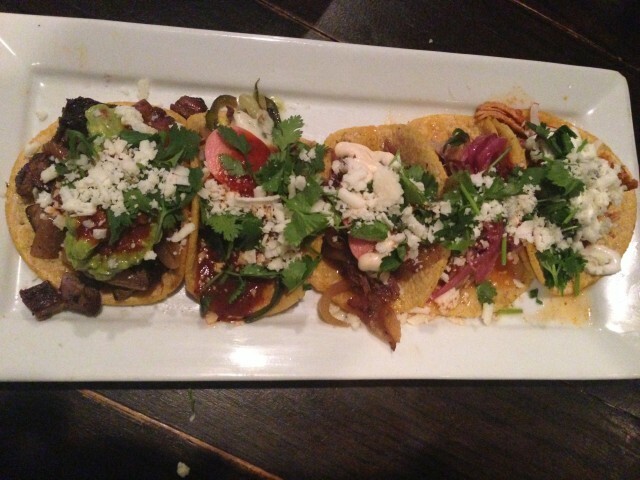 The food at Amor y Tacos was spectacular and exciting. The flavors were definitely bold and delicious. Chips and salsa was complimentary of course and quite good. 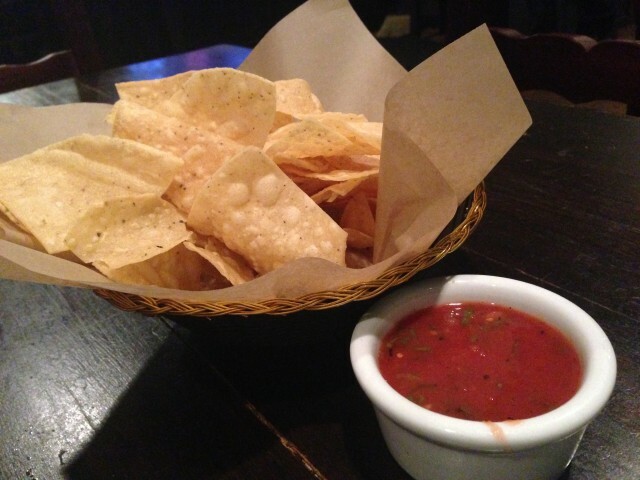 The chips were thin and crispy, and the salsa was tasty. We had the Tour de taco which included tinga de pollo, short rib, rajas con queso, carne asada, and carnitas. The freshly made tortillas mad all the difference and all of the tacos were on point. The classic carne asada was my favorite as it had a nice amount of guacamole and topped with cotija cheese. Instead of the taco tour, I would just opt for the carne asada and short rib tacos. I was excited that they had Brussels sprouts on the menu. 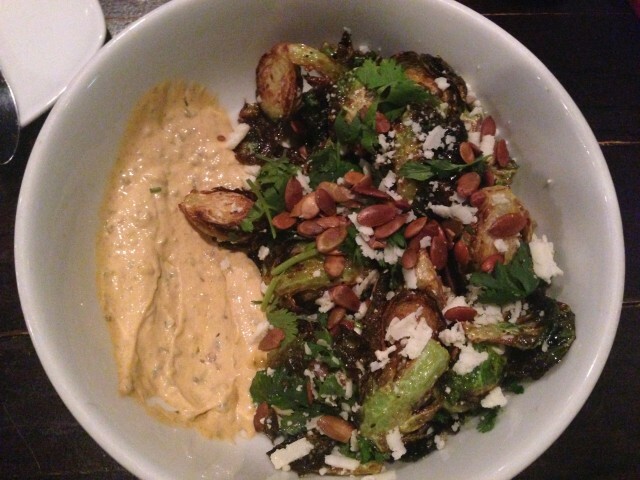 The charred brussels sprouts were perfectly cooked and had a nice side of roasted garlic aioli on the side as a sauce. The aioli was superb and gave a nice flavor the dish. The flavor kept coming with the lime, cilantro, and cotija. Topped with pepitas, the dish had great flavor and a nice crunch. This is a dish I always order. Mole on tater tots? It’s like my two favorite things in a bowl. 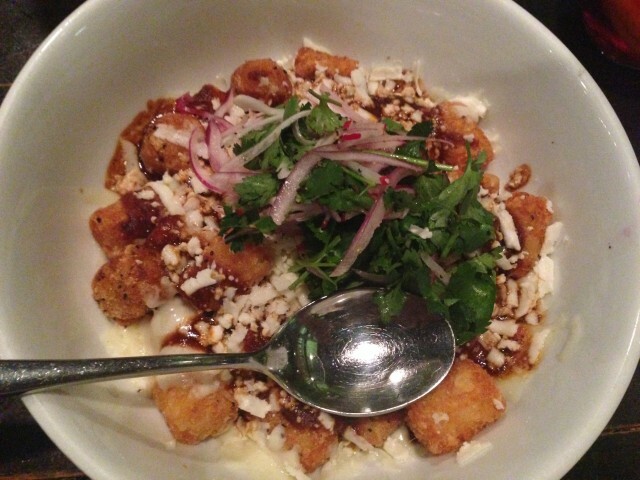 The mole tots had crispy potato tots and was topped with their 21 ingredient house made Amor mole. The queso fresco and sour cream gave a nice richness to this dish. Cilantro and onion made sure everything was balanced out. I could eat this dish for days! Enchiladas are so simple, yet so delicious. 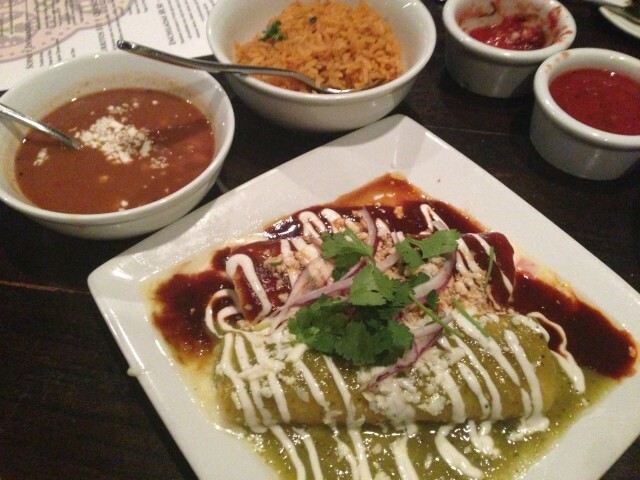 The red and green sauce cheese enchiladas with rice and beans was perfectly executed and classic. The sauces were great and flavored the dish perfectly. Amor y Tacos is my kind of spot. The food is exciting and has everything that I like. The vibe here was great too with a nice bar and interesting decor. 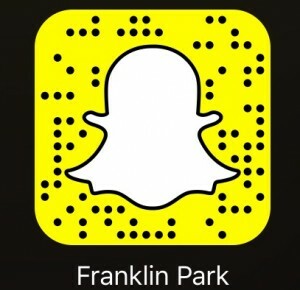 Don’t let the location fool you. The food was spectacular and the flavors will satisfy.